Ocean of Grace – NEWEST ALBUM!! 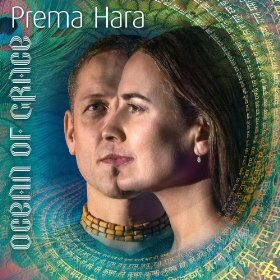 Since their last release, Sweet Surrender, Prema Hara has traveled across the US on several tours, quickly gaining recognition as one of the West’s most prominent kirtan bands. The band is a regular at distinguished kirtan music venues on both coasts, including Jivamukti Yoga (NYC) and Bhakti Yoga Shala (Los Angeles), as well as at heavily attended music festivals such as Bhakti Fest and World Peace & Yoga Jubilee. A fusion of innovation and tradition, Prema Hara’s debut album reveals the devotional mood of sweet surrender to the Divine. 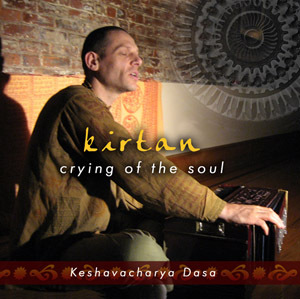 Kirtan’s ebb and flow of call and response invites you to invoke the Sacred through sound. Mellow, meditative songs build into ecstatic grooves, creating a joyful celebration of the spirit. Kirtan is the music of the heart; a calling of the soul. Produced by Gaura Vani and Bada Hari Das, both established Kirtan musicians and recording artists, Sweet Surrender has a warm, peaceful sound that transports the listener to the spiritual dimension. Kamaniya and Keshavacharya’s voices interweave seamlessly together while a rich chorus of chanters respond to their calls of devotion. Sweet Surrender will immerse you in the deep bhakti or devotion that Prema Hara experiences and is so eager to share. Keshavacharya’s first solo album is pure traditional Kirtan. All songs are Sanskrit chant’s with traditional instruments. Kirtan ~ the heart or essence of Bhakti ~ is in one sense Kirtan is impossible to define. It defies measurement and resists categorization. Kirtan means to share to celebrate, to praise and to glorify. Kirtan forms a bridge between your outer and inner identities, expressing our desire to know and love the divine absolute. It is utter devotion towards God. The different Ragas and melodies create different moods of spiritual feelings from great joy of intimate association to deep spiritual lamentation in separation of God. Kirtan transcends the artificial barriers imposed by the external world. It rises above skin color, age, gender, race, religion, or creed and does not depend upon classic vocal training or musical abilities. It is sung from the heart; it is raw, joyful, primeval. Ocean of Grace - NEWEST ALBUM!